Steven Spielberg doesn't think Netflix movies deserve an Academy Award. The 71-year-old four-time Academy Award winner has argued that the film and TV streaming site should not be able to win any of the coveted golden statuettes as he believes it has committed to a "television format". He told ITV News: "Once you commit to a television format, you're a TV movie. Mary J. Blige is to perform at the Oscars ceremony. The 47-year-old singer-songwriter is to perform 'Mighty River' from the Dee Rees-directed drama movie 'Mudbound', which she also stars in. The track has been nominated in the Best Original Song category at the annual awards bash, which is being staged at the Dolby Theatre in Los Angeles on March 4. The American star has also been nominated in the Best Supporting Actress for her role in the widely acclaimed film. BEVERLY HILLS, Calif. (AP) — "Mudbound" director and co-writer Dee Rees is more interested in the future than she is excited about making history. Rees recently became the first black woman to get nominated for a best adapted screenplay Academy Award. 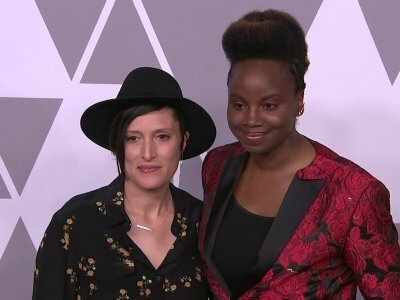 "Mudbound" also scored another historic nomination for cinematographer Rachel Morrison, who became that category's first female nominee. 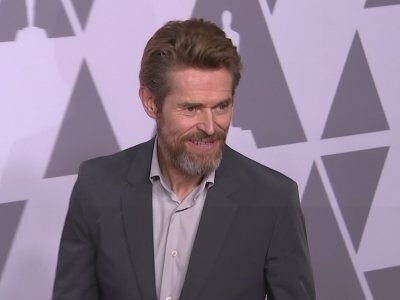 NEW YORK (AP) — In nominations announced Wednesday, the 24th Screen Actors Guild Awards heartily endorsed the Frances McDormand-led revenge drama "Three Billboards Outside Ebbing, Missouri," offered swift redemption for the Golden Globes-overlooked romantic comedy "The Big Sick" and left many Oscar favorites empty handed. NEW YORK (AP) — Mary J. Blige is dancing into the Golden Globe Awards as a double nominee — for her acting and songwriting — while Mariah Carey, Radiohead's Jonny Greenwood and Nick Jonas are some of the other popular musicians also nominated. Blige earned nominations Monday for her work in the Dee Rees' period film "Mudbound." She's up for best supporting actress in a motion picture and best original song for "Mighty River," which she co-wrote. Dee Rees believes audiences will be more receptive of her new film 'Mudbound' following the white supremacy marches in Charlottesville. The 40-year-old filmmaker helmed the new racial drama - which follows the unlikely friendship between two men, one white and one black, after they return from World War Two - and admitted she thought the plot could have been "easy to dismiss" before the race marches in August. NEW YORK (AP) — The movies have tended to skip from slavery to the Civil Rights movement, but Dee Rees' "Mudbound" plunges into the complex tragedies of the in-between era of Jim Crow. The film, which Netflix hopes will be its first feature-film Oscar contender, follows two neighboring families — one black, one white — on a hardscrabble farm in 1940s Mississippi. Here’s what’s new for home viewing on video-on-demand and Netflix, Amazon Prime and other streaming services. But first some news: Beware of a phishing scam purporting to come from Netflix requesting personal information. These are not from Netflix. Don’t click on the links. Perhaps it's a sign of the times that after seeing an epic story as poetically told as Dee Rees' "Mudbound ," feelings of awe and admiration are quickly replaced with frustration that Hollywood hasn't traditionally embraced the artistic visions of people who aren't white and male. Maybe it's because feelings are so raw in this post-Weinstein era, where the obstacles women face on their way to success are just beginning to be publicly understood. NEW YORK (AP) — Jordan Peele's thriller "Get Out" has gotten an awards season boost with a leading four Gotham Awards nominations, including best feature. Mary J. Blige hopes her new movie 'Mudbound' will make the audience ask questions about racism. The 46-year-old singer-turned-actress admits some people will want to "hide" from the tough topics tackled by director Dee Rees in the film - which follows the unlikely relationship between two men, one white and one black, as they find common ground after they return from World War Two - but she wants others to delve deeper and explore wider societal issues. NEW YORK (AP) — Films by Greta Gerwig, Sean Baker and Agnes Varda are headed to the 55th New York Film Festival. The Film Society of Lincoln Center announced the selections of 25 films for its main slate on Tuesday, including eight directed by women.